"All the details were handled efficiently. Would use their services again and have recommended to others." Set off on an exploration of the most alluring destinations of Israel. Together with hand-picked guides enjoy all must-sees of the mecca city, Jerusalem, and see its different sides from the iconic Western Wailing Wall to the vibrant old market. Discover the country during day trips to such iconic holy sights as Nazareth and Galilee, as well as the cities of Caesarea and Haifa. Moreover, enjoy the ride on one of the steepest cable cars in the world to the gorgeous Rosh Hanikra limestone grottoes. 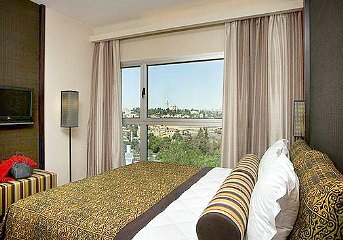 The private Israel itinerary can be built around your interests! Airport transfers and best central hotels included. Early in the morning, join a small group and start a 12-hour day trip to the northern coastal towns of Caesarea, Haifa, and Acre. The first town on the route is ancient Caesarea. Here you visit the Roman Theatre, which, apart from being a remarkable historical sight, often hosts concerts and an annual jazz festival. You also see Herod's Palace, the Baths and the Ancient Harbor. On your way to Haifa, the largest city in northern Israel, you drive along the Carmel Mountains. The town is famous for Bahaian Terraced Gardens, designed around the tomb of the “Bab”, one of the leading figures in the Bahai faith. Then you make your way to Israel’s port town of Acre (also called Akko). You visit the main point of interest there - the Rosh Hanikra limestone grottoes which form a geological white chalk cliff border of Israel and its neighboring country, Lebanon. Among the day’s highlights is a ride on a cable car right down to the grottoes which can only be reached from the water side. This unique cable car is actually among the steepest ones on the planet and is surely a memorable experience to remember! Following the tour, you are taken back to Jerusalem. Enjoying the coastal towns of Caesarea and Haifa.